The Derbyshire is one of our most popular socks. This sock has thick loop pile construction from top to toe. These socks are perfect for those who want warm feet when doing outdoor activities. These socks are great for walkers, ramblers and hikers. 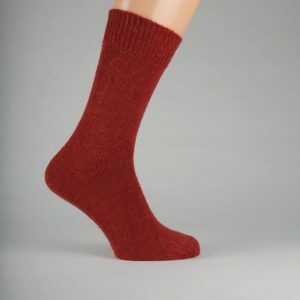 A fantastic all round outdoor sock for those who prefer a shorter, thicker sock. I have been wearing Capricorn socks for several years now. The most useful style for me is the Derbyshire, though I wear other styles for particular activities. These are the toughest socks I’ve ever worn, and also the most comfortable. Some pairs have “mysteriously” disappeared, though I suspect they’re now being worn by friends who have visited. After several years of wearing them “to death”, my remaining two pairs have developed some small holes. I’ll keep them for the day I get some mohair yarn to darn them with, but in the meantime, I’m ordering a few more pair. them to be very comfortable,remain quite odour free, and after eventual washing, hold their length and shape. These are the only socks I wear. Walking daily with our English Setter.Always comfortable never any problems,now have four colours to alternate. 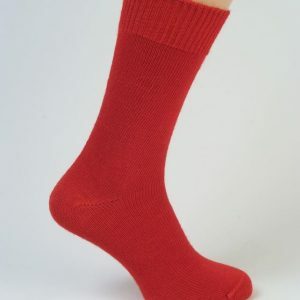 The very best sock I have ever worn in over forty years of outdoor activities—I have finally found the ideal socks for warm, comfortable, blister-free walking, cycling, sailing, microlight flying, and myriad other adventures. When the soft cushion effect of the loop pile stitch eventually fades after many hundreds of miles walking the socks remain warm and cozy for other activities. I am so pleased that Capricorn responded to our request to make purple socks—they are still our favourites, we have around 20 pairs in that colour and a few pairs in other colours, too. Bought a pair of Derbyshire socks to see what the fuss was about. They’ve exceeded my expectations: like walking on air; worn for a week and still smelling fresh; feet feel just the right temperature. I’m sad to take them off at the end of the day. All my other socks became tight, hot and heavy overnight—planning on replacing the lot with Capricorn socks. Worth every penny. I wanted a warm, robust pair of comfortable socks both for my regular 9 mile weekly walk but also to wear with gardening boots & wellies. I could not have chosen better. When walking in rain or windy weather I can feel the warmth in my boots as I trudge along. My walking pal is gradually being convinced to buy a pair. Similar comfort while working in the garden whether weeding, moving bark, leaves, mowing & so on. I have started to wear them while cycling around where I live. My wife says next thing is I will be wearing them in bed in winter….we’ll soon see if she is joking! This ankle length style sock has a link toe seam construction for extra comfort, this avoids those bulky seams that can rub on your toe! These socks also have a small amount of Lycra to give a bit more ‘give’ and a better fit. 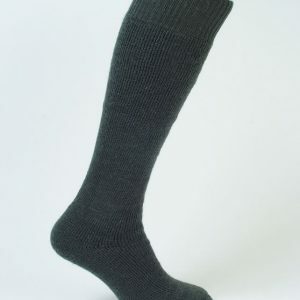 In recent years, we have been asked to produce a shorter version of our popular Sussex Socks. 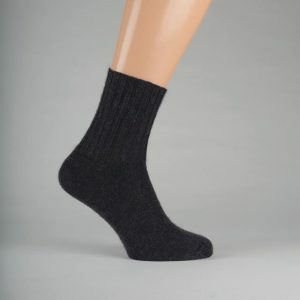 This sock also has a flat link toe seam which eliminates those bulky seams that can rub on your toes.